Head of State or Governor General? Prime Minister Tuilaepa Sa’ilele Malielegaoi’s government has moved to amend the Constitution once more in relation to the position of the Head of State. The proposed change has given rise to suggestions that since anyone is now eligible to become the Head State, is it not time to consider changing the title from Head of State to Governor General instead. Prime Minister Tuilaepa, who tabled the Constitution Amendment Bill (No.3) 2017 for the second reading yesterday, strongly rejected the suggestion. He explained that the government is proposing to give the holder of the Head of State title a 10-year two-terms limit. This is as opposed to the current practice where members of the ruling H.R.P.P. vote on the position after every five years. 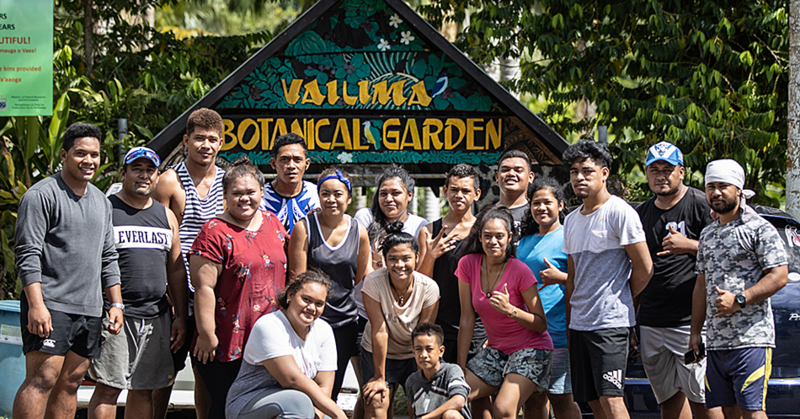 The position is currently occupied by His Highness Tuimaleali’ifano Va’aletoa Sualauvi II who recently took over from former Head of State, His Highness Tui Atua Tupua Tamasese Efi, who held the position for ten years. Speaking about the amendment in Parliament yesterday, Prime Minister Tuilaepa said the change gives the position the respect it deserves. As it stands, he said it is not a good look when such a highly esteemed role is subjected to a vote every five years. Given the smallness of Samoa, Tuilaepa admitted that such a vote would always be a sensitive matter given family and blood connections. But should the amendment be passed, there are conditions. One of them is that after the holder serves his/her 10-year term, he/she will be retired from the position forever. 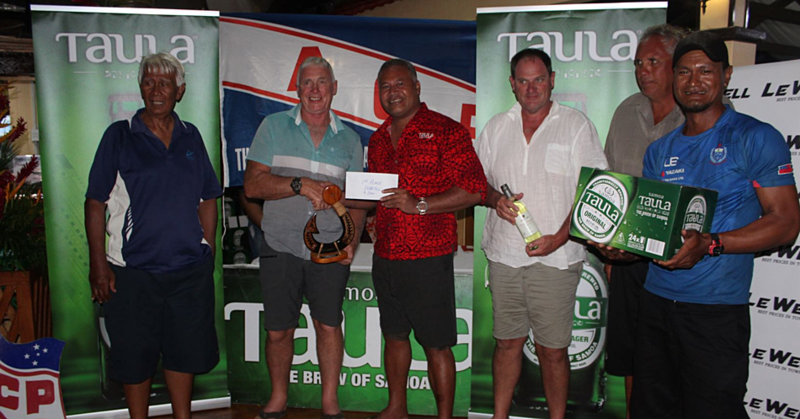 Tuilaepa used the term “malolo manumalo” or “victorious retirement” to describe the exit by future holders. “This is not a new amendment,” he told Parliament yesterday. Tuilaepa added that 10 years for someone to hold an “honorary” titular role reflects the respect and honour afforded to the position. The amendment was widely supported by Members of Parliament. One for them was M.P. for Falelatai and Samatau, Taefu Lemi Taefu, thanked Prime Minister Tuilaepa for his foresight and vision to legislate the terms of the appointment. He said the amendment would safeguard members of Parliament from criticisms whenever the position is up for a vote. But Salega’s M.P., Olo Fiti Va’ai, objected saying the appointment should be made for life. He criticised the fact the vote is now solely made by H.R.P.P. members outside of Parliament. Olo argued that to maintain integrity of the position, the vote should be conducted inside Parliament where Samoa meets. This is how democracies should operate. P.M. Tuilaepa disagreed and he immediately took the floor to correct Olo. He said the appointment of His Highness Tuimaleali’ifano was made in Parliament. Members of the H.R.P.P. only discussed and made their recommendations outside Parliament but the actual appointment only took place when Parliament convened. Tuilaepa refused to accept this. “I want to correct the member who keeps getting this wrong,” he said. “When your opinion is wrong, we have a responsibility to correct it. And if you keep getting it wrong, we will correct you every time,” the Prime Minister told Olo. Looking at the bill, Olo raised a couple of points. First he said the 10-year appointment is an expensive decision since Samoa will have to mint new coins and print new money notes every time a new Head of State is appointed. Olo also questioned the government’s influence on the position. He expressed disappointment that Head of State appears to be controlled by the government. He referred to part of the bill where the Head of State has seven days to sign an issue into law. If he refuses, the Prime Minister will have the power to assign someone else to sign instead of the Head of State. “What roles do the members of the Council of Deputies serve then?” he asked. He wondered if they are just there for formalities when the Prime Minister controls everything. Associate Minister and Faleata’s Member of Parliament, Lealailepule Rimoni Aiafi supported the amendment. He reminded that the role of the Head of State is a government appointment that the Constitution stipulates anyone can hold the position, regardless of whether you are a Tama Aiga or not. 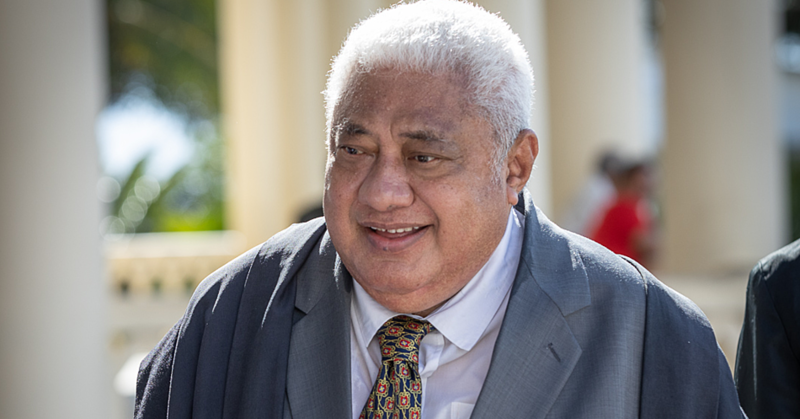 Prime Minister Tuilaepa strongly denied the claims from Olo. He said Members of Parliament and members of the public have a lot of time to make their views known since bill has now been referred to a Parliamentary committee. Parliament has been adjourned until Tuesday 19 December 2017.